This pretty necklace has a 1 1/2" real Serpentine stone. Serpentine has been used for centuries by many cultures as an ornamental and healing stone. 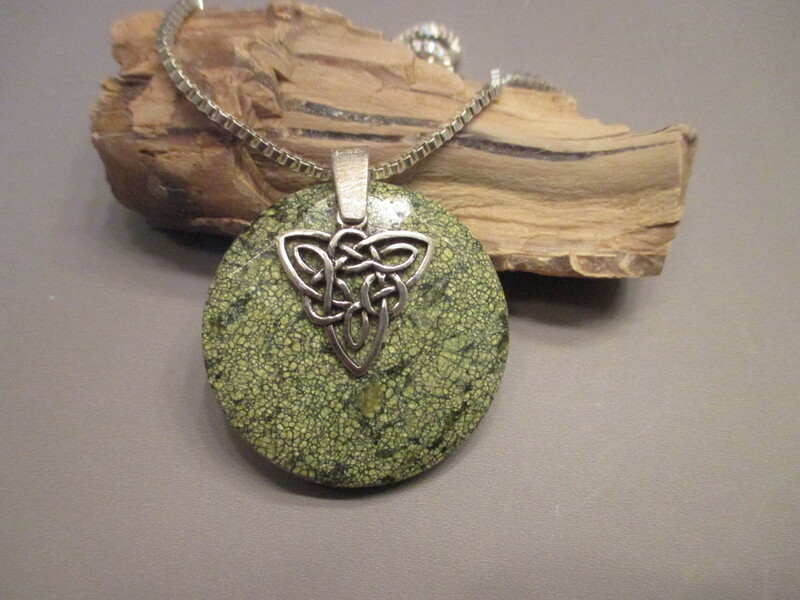 Serpentine was thought to protect against disease and evil ... A sterling silver Celtic charm is attached to the stone and bail. The chain is a 20" heavy sterling silver box chain.